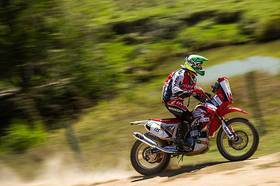 Rally dos Sertões: Gonçalves wins SS2 in Bikes but Coma still overall leader. 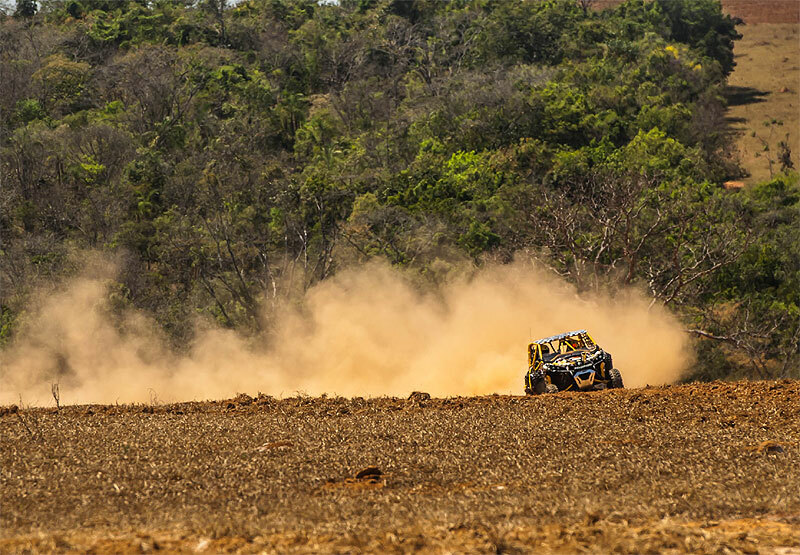 The second day of the 22nd edition of the "Rally dos Sertões" in Brazil, between Caldas Novas and Catalão, began with changes in the special test course. For security reasons, the special had to be reduced and had only 78 km, against 202.23 kilometers planned. Even so, there were many emotions and an exciting dispute. In bikes, the current world champion and current winner of the Rally do Sertões, the Portuguese Paulo Gonçalves (Honda HRC Team) was the best in the stage and closed the special with the time of 00:45:37 minutes, little more than a minute faster than the Brazilian Jean Azevedo (Honda Mobil de Rally), who was the first runner-up. The Spaniard Marc Coma (KTM Red Bull Factory Team) finished third, but he is the overall leader, with the time of 02:42:27 hours, with 39 seconds of advantage to Gonçalves. Thirty-six of the 37 bikes disputed the second stage Today. "Today the special test was very short. I started in the third position and I would like that it was a longer special to try to recover. I think I managed to recover more or less 1:40 minutes the difference for Marc Coma. Now we have five days ahead to try to get a good final position," said Paulo Gonçalves after the stage. In the quads, thirteen competitors completed the second stage. The current champion, the Brazilian Robert Nahas (RNN Sports), was the winner with a time of 00:51:33 minutes. 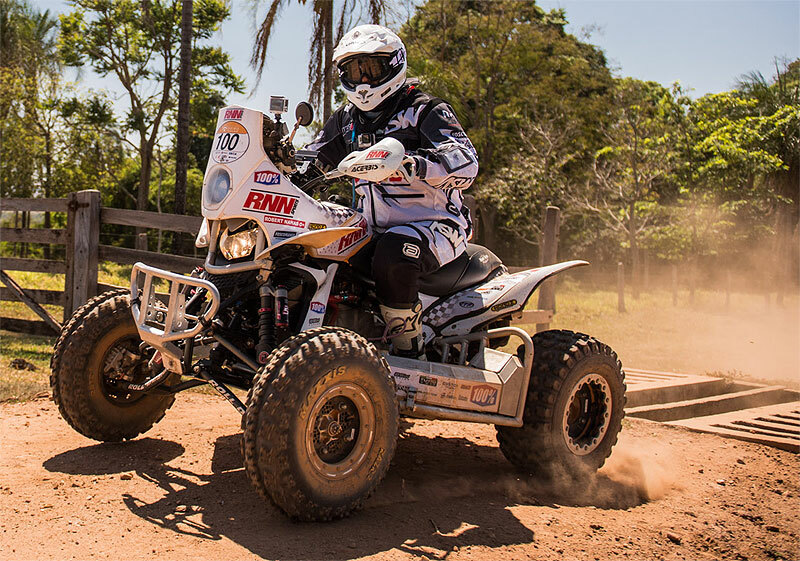 Tom Rosa (ATV Yamaha) was the first runner-up and Gabriel Varela (Divino Fogão Rally Team) finished third. The Polish Rafal Sonik (Sonik Team), winner of the first stage, and Marcelo Medeiros (Taguatur Racing), who won the prologue, missed the route and lost time. Medeiros was the fifth in the day and Sonik the seventh. Nahas also took the lead in the overall (03:04:45 hours), with more than five minutes ahead to Medeiros and Sonik. In the UTV/SSV, the duo Jose Helio Rodrigues and Edmilson de Camargo (Polaris Racing) got the victory in the second stage in UTVs with the time of 00:53:26 mins. Denisio Casarini and Eduardo Shiga (Casarini Can-Am) were second on the day and are leading overall with 03:14:25 hours, just 10 seconds ahead for the duo Rodrigo Varela and John Arena (Divino Fogão Rally Team).